Work has been really busy lately, too busy to write much here nor edit video. One of the big reasons was that it was trade show season in the tech world. Spring to early summer brings many conferences. Then a lull hits mid summer (mid-July through September) when shows become scarce as vacations are booked and Europe shuts down. Then school starts up for kids and shows return (which I’ll be at them again when this happens). I’m ancient enough to have been doing tech and industry shows (B2B – I don’t get the fun CES type events) for well over 10 years now and one thing that has really evolved is the “cocktail reception night” or “welcome happy hour” which is usually the end of the first real day the exhibit hall is open. The exhibit floor is the place that most people think about when they think of trade shows. All the booths and vendors. Usually, all of the presentations, panels, trainings and other breakouts stop and everyone heads to the floor for beer and wine, often sponsored by a company willing to pay way too much to do it. Hotel ballroom events have it better, with a Yuengling or a Fat Tire. Convention centers typically have only the macros, all being American adjunct and usually a Heineken or an Amstel. On the east coast or midwest, at a Orlando OCCC or a McCormick they’ll often have a token Boston Beer or Shock Top. 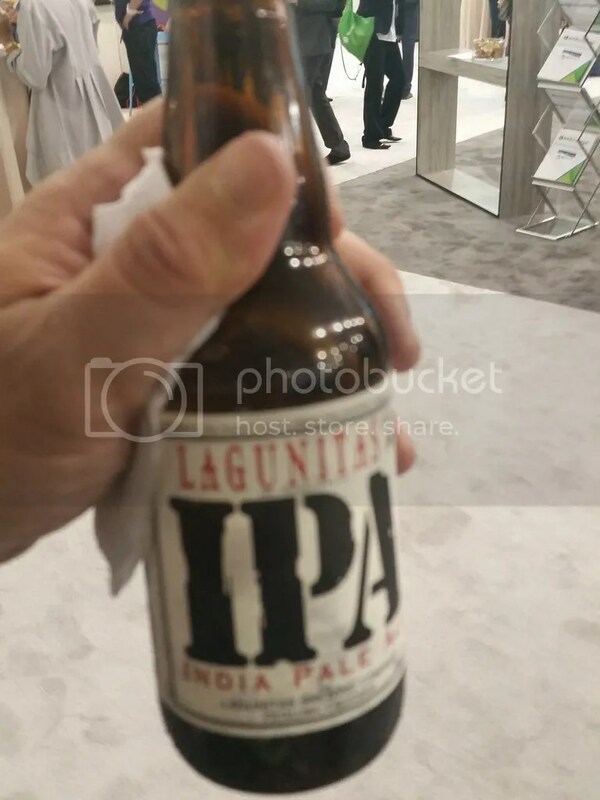 On the west coast, at a San Diego Convention Center or a Moscone, we are luckier and usually have a token Lagunitas or Sierra on the table. I really feel like some micro would really make a major play and get into the catering good graces at a convention center and start the diaspora of their local brew to the conventioneers visiting from all over the country or world. It’d have to be bottles, of course, but I really can’t wait to see if it happens. Especially since fall trade show season is just about to start.